In Valgovind's Song in the Spring, also known as the song "The Temple Bells," we have an up-tempo ode of desire from a bridegroom in the marriage month, when all things are fertile and green, the heat and flower fragrances already intense with the sound of ringing bells in the air. Valgovind is Hope's male Hindu voice representing the Krishna/boatman persona, longing for his lovely silver-bedecked bride-to-be. Until this point in the Love Lyrics, our poet has avoided gender specific pronouns when the poem's title indicates male authorship. Here The Beloved "rose with jasmin breath" is definitely a she. In 1902 when the figleaf of the "Laurence Hope" pen name was whisked away by the journal called The Critic and the steamy author outed as an authoress, the pot boiled with speculation about the lady's love life. She'd traveled further "beyond the pale" than even the rogue male defined by Kipling. Now, over a hundred years later, the speculation has never really ceased. At nearly the same moment as Hope's first publication of the Love Lyrics, composer Amy Woodeford-Finden self-published the music for her "Four Indian Love Lyrics" including The Temple Bells which used the verses from Valgovind's Song in the Spring as lyrics. No doubt this linked the two females in the public's mind, forever. The works of both women were an immediate success, with Woodforde-Finden receiving letters of congratulations from all over the world, according to contemporary reports (pg. 184), and both of their works being republished, recited, played and sung for decades to come. Heads were turned, hearts stirred, money was made, and more importantly - popular tastes were shifted. Meanwhile, the public speculated. Amy had married at the rather advanced age, for Raj India at least, of 34 - was she the poet's desired Miss of The Temple Bells? 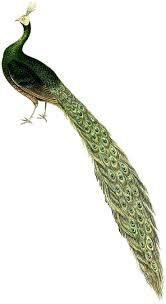 Were hers the somewhat feminine "pink tipped" and "pale" hands loved by the Shalimar in "Kashmiri Song"? Could Amy also be "Aziza - Whom I adore"? While I suppose it has to be said that anything is technically possible, the linking of Amy and Adela in a lesbian entanglement falls into the same category as rumors and myths of Hope's dalliance with a dashing young Indian prince, or with Kipling as two talented teenagers in the loose atmosphere of Simla (an idea I explore here), or Hope's helpless desire in the arms of a native boatman - all interesting fancy with at best some proximity and family connections to spin a web out of in the case of Kipling, but at worst absolute fantasy woven from wish fulfillment with no support at all except the content of Hope's poetry or historical fiction writing and legend. In all fairness, most people conducting illicit affairs do not leave proof, and the lack of almost any letters from Hope's hand present ample gaping black holes in her biography - holes which her devotees inevitably gravitate towards like satellites helpless in the gravitational pull of her poetry - this writer being no exception. The argument can even be made that such a gross lack of correspondence from such a prolific writer indicate something amiss, as though the poet chose to destroy evidence of private affairs. Kipling certainly did much the same thing and destroyed much of his correspondence in order to preserve his privacy. Happily for great numbers of fox-trotters, concert goers and music appreciators of all kinds over several decades, Hope's legacy most certainly benefited by Woodeford-Finden's interest in her work. Finding no publisher willing to take a chance on her compositions at first, Woodfeord-Finden self-published the first four compositions, for which she should be given no end of respect for her business acument and sheer willfulness. Born in Valparaiso, Chile to American parents attached to the local embassy, young Amy showed early musical talent which was nurtured. At the rather advanced age of 34, (in British India, an unmarried girl faced spinsterhood at 25) she married a Bengal army surgeon, and lived in India for several years during the all important fin-de-siecle nineties. From wikipedia, "The legacy Amy Woodforde-Finden leaves is one of bridging cultures with music and words. 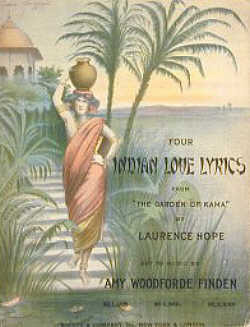 She interpreted the sounds and motives of Asian-South Asian music to an American-European audience and transported the listener to a world of romance and the exotic...The year 1916 was a bitter-sweet one for Amy: she lost her husband in April and her work was featured in the film Less Than the Dust. This was just the first of her work to be showcased in film. 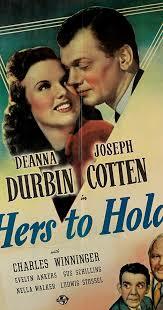 In 1943 Kashmiri Song would be used in the film Hers To Hold." The frisson created by the duel presence of verses and music by females which seemed to celebrate masochistically delirious transports of desire and forbidden love during the British Decadence was exactly what the salon rumor mill fed on. "Delight in the morally suspect Indian Love Lyrics involved projecting onto Indians desires unacceptable to, or feared by, The English." (pg 180, Resonances of the Raj) I'll suggest their audience took even further delight in projecting hidden desires onto the artist's personas themselves, only resulting in ever increasing interest in their entwining outputs. 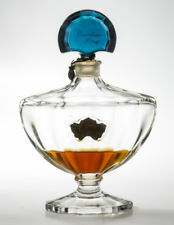 Hope and Woodeford-Finden's creations eventually set sail on the rivers of pop culture, inspiring two perfumes, movies and ultimately creating the archetype heart-throb desert Sheik embodied by Valentino, who literally sang Hope's verses to Amy's music, calling it his "favorite ballad". Thus these two Raj era female artists passed from personal notoriety into the higher arena of the ethereal transpersonal, and thus mythical. 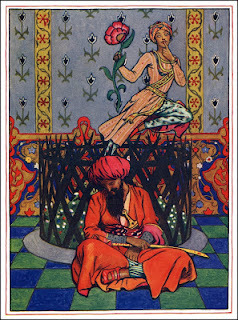 Their work carried a romanticized spirit of faux and ornamentalized Orientalist pleasure to audiences around the globe, allowing so many the wish-fullfilment they craved - an escape into an idealized land of tinkling bells drifting through bronze skies over dreamy melodies. It is the realm of music, poesie, and luxuriant fragrance, which holds its appeal even today. For the aging agents of British Raj, the Love Lyrics in verse and music conveyed their repressed sadness and nostalgia over the spilled perfume of Empire: a vivid yet fast fading era of heat and duty, temptation, action and temperance, shot through with a certain sunlit glamour, never to be matched again in the grim mechanization of all the world wars to come. For the old returned veterans and their memsahibs, these sons and daughters of the despoiling yet in their minds benevolent Raj, the music of their day faded and returned and faded again in their drawing rooms and concertina halls, while modernity and social conscience eventually abolished even this last ray of artificial Eastern sunshine from their hearts. 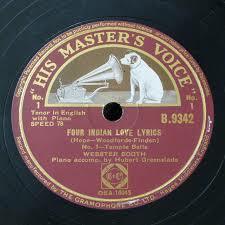 Note: "Valgovind's Song in the Spring" is recorded in the third section of India's Love Lyrics and may be listened to here. This is a sneak preview, and will not be available on Librivox until the entire book has been recorded. Please feel free to share your thoughts, discussions, pleasures and corrections. Obsession and Unquenched Desire - A Blog About "The Sphinx of the Raj"
Less ThanThe Dust - Alas! Thee, Thou and Thy, O Lord! Song of Khan Zara - A Nod to "D.L.R." Kashmiri Song By Juma - More Than "A Decadent Kipling"
Prayer - A Genuine Translation? Memory - "As we held faithfulness, you and I"
copyright Helen Williford-Lower. Awesome Inc. theme. Theme images by kelvinjay. Powered by Blogger.